NAW was set up to give writers the chance to learn directly from other writers. It is not linked to any university, and does not issue degrees or certificates. But it does offer an exciting range of events and courses of varying lengths. This particular event – run in conjunction with Writers & Artists and held at the London offices of Bloomsbury Publishing – was my first taste of what they had to offer. We had been invited to submit short pieces of writing, of which two would be selected at random for editing. But what sort of editing were we in for? Presumably it would be more than just an exercise in proofreading, but would we just be given a lecture of the overuse of adverbs, or would this go deeper? We had all been sent the selected texts in advance, so we could read them through and form our own ideas. The person guiding us through the edits that evening was novelist and Director of NAW, Richard Beard. I was impressed that he immediately focused on the type of work it was – its genre, in the most specific sense – and then examined the issues that arose from that, with concrete examples from the texts presented. The first text selected was the opening chapter of an intriguing piece of speculative fiction by Felicia Yap – whose book I am now eagerly awaiting. Beard identified two key issues for speculative fiction. First you have isolate the essential difference between your world and the normal world, push the consequences of that difference to the limits, drilling down and asking all the questions a reader might ask. Secondly you must be wary of raising other types of questions, especially early on, because the reader will have enough uncertainty to deal adjusting to this new world. If you achieve both things, the reader will sense your confidence in your world and trust you to lead them through it. The second piece was a more straightforward contemporary short story, written in reportage style. Here the issue Beard skewered was the danger of letting a character, ‘look away,’ ‘say nothing,’ or ‘have no idea.’ All of those, he said, are lazy writing that make a character look weak or passive. Much better to get inside the character's head and work out what idea they DO have. POSTSCRIPT: Very excited to hear that the UK and Commonwealth rights to Felicia Yap's book have been snapped up by Headline’s Alex Clarke ahead of LBF2016. Not a bit surprised, after reading the 'taster' here. The second part of the evening was truly fascinating. How much would you give to have a peek inside the notebooks of one of your favourite writers? 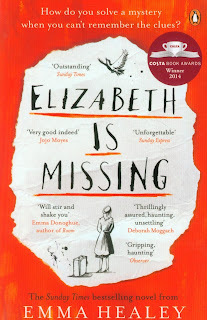 Well, that was that opportunity we had, as Emma Healey, author of last year’s Costa First Novel Award winner Elizabeth is Missing, opened the doors to her writing process. And yes, I do mean a literal peek inside her notebooks. Despite what you might expect of today’s computer born generation, 23 year old Healey is still wedded to physical notebooks, for collecting notes, for sketching drafts, and for organising her editing. 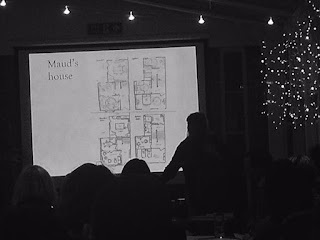 She showed us snapshots from those treasures, and even handed round copies of her colour-coded and hand-annotated planning charts for Elizabeth’s dual timeline. 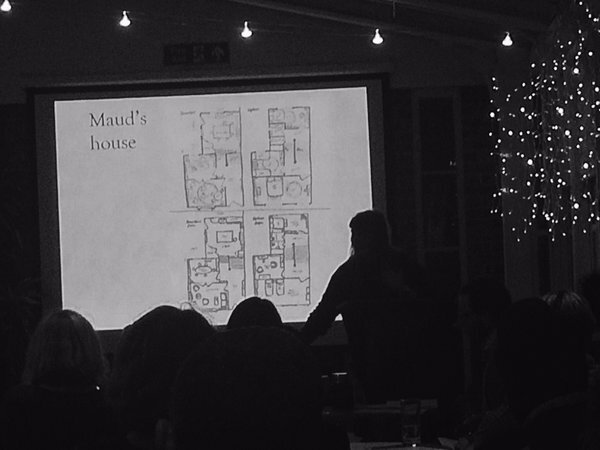 Intriguingly, those notebooks included plans of Maud’s house, in the present and during the war, and a town plan made, apparently, from cutting and pasting a map of Bournemouth to bring things closer together. Healey confessed to being a disorganised writer, whose daily writing routine rarely matched the idealised one she set herself. She is also clearly a very visual writer, who uses pinboards full of pictures to inspire her and give depth to her descriptions. She is a squirrel, keeping a ‘commonplace book’ of photos, newspaper articles and other things that have caught her attention, and writing down snatches of overheard dialogue wherever she goes. And she is also a great believer in physical research. 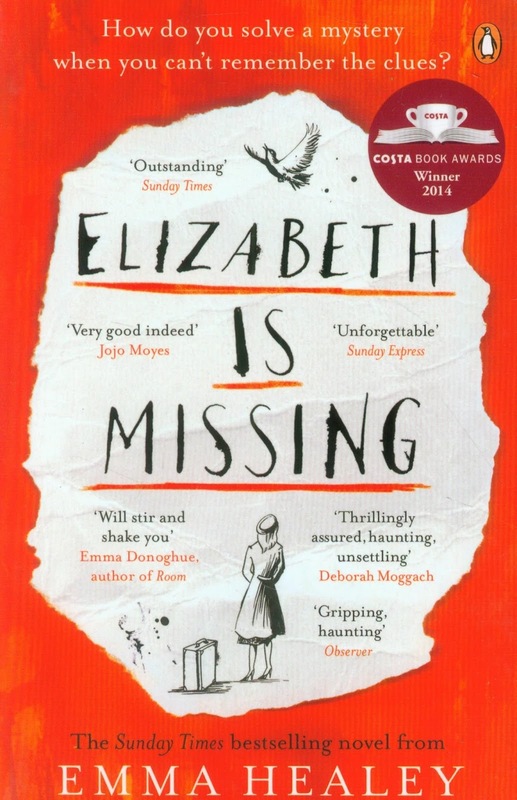 For Elizabeth, she not only spent time talking to people in care homes, but with impressive attention to detail, also put an advert in the Bournemouth local paper to make sure that she knew both the process and the physical surroundings. Inside the cover of one of her ‘editing’ notebooks, she had pinned a list of things to check for. Healey’s willingness to reveal herself was refreshing and inspiring. If other guest authors are as frank and entertaining, I can highly recommend booking yourself onto another of these events, should the opportunity come your way. Many writing groups have produced anthologies of short stories, and many of those have had common themes running through them. But the members of the Just Write group, based in Amersham, Buckinghamshire, set themselves a far more intriguing challenge. All twenty stories in Spilling the Beans take place in a single day in the same coffee shop. And each one, from 'Ristretto' to 'Hazelnut Steamer', has the title of a drink served in the shop. More than that, the same characters weave in and out of the stories, brushing up against one another’s lives – sometimes colliding, sometimes barely noticed. In many ways, this anthology has more in common with serial novels such as Alexander McCall Smith’s 44 Scotland Street. Many of the stories are not self contained. They leave tantalising loose threads, some of which are picked up later, while others trail out of the coffee shop into a future we are invited to imagine. Taken singly, this might make for frustrating reading, but the pleasure in this anthology comes from the way the stories weave together into a satisfying whole. 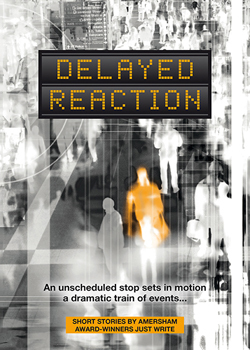 Their second anthology, Delayed Reaction, based on the same principle of interlocking stories (this time focused on passengers trapped on a delayed train) was published in November 2015. And they are now in the process of planning a third. I joined them to find out how the original concept was born, and how they go about planning and executing such a complex project. The germ of the idea came from the creative writing class (led by author Sally Norton) where the Just Write group all met, explains Lesley Close. The idea for a subject to tackle then grew out of a story by group member, Liz Losty. That seemed to spark something. That same day, the group came up with a list of drinks you could buy at a coffee shop and divvied them up between them. As all the stories would take place in one day, moving from opening to closing, they also worked out a timetable for when the drinks would be ordered. After that, each writer was free to decide what sort of character might order that drink, and to develop their stories wherever their imaginations led. A certain amount of back story was permitted, but as little as possible outside the door of the cafe, and nothing beyond the single day. Once the stories were written, they were submitted to the group for critiquing and to ensure that the stories all work together. Even with so much preparation, they soon realised even more advance brainstorming could have helped. That was a lesson they took to heart when it came to planning Delayed Reaction. Before starting to write, they fixed the day and date for the event, chose a genuine train service (15:08 from King’s Cross to York), and decided exactly where the train would stop. Close did a recce to provide a description of the train and of the landscape through which it would pass. They even spoke to a railway engineer to iron out technical details. From brainstorm to publication, each anthology takes many months in development. After brainstorming, they write their stories through the winter, giving themselves a final deadline in May. The combined manuscript is then edited over the summer, and with the first manuscript proof delivered in September. They then go to press in October, ready for Christmas sales. 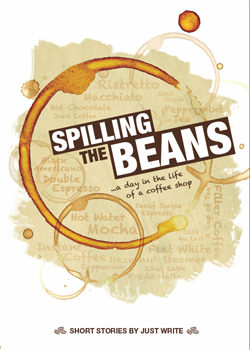 When it came to the publication of Spilling the Beans, they wanted to raise money for charity, and a close connection of one of the writers to a patient at Royal Marsden Hospital made it the obvious choice. This undoubtedly opened a lot of doors for them and the anthology is now stocked in various locations (including two local hotels, who keep copies in every bedroom). As a result they have, to date, raised £1k for Royal Marsden, and helped to purchase a special ultraviolet room steriliser for the hospital. That connection has continued with Delayed Reaction. For their paperback copies, the group has chosen to use short-run printing, rather than print-on-demand. Short-run printing is often out of the reach of a solo self-published author, but as a team, they can split the cost, and know that they can each shift a certain number of books themselves. It is this sort of attention to detail, together with impressive planning and organisation and a willingness to cooperate and function as a team, that has led to Spilling the Beans winning Writing Magazine’s Writers’ Circle Anthology Award 2014. 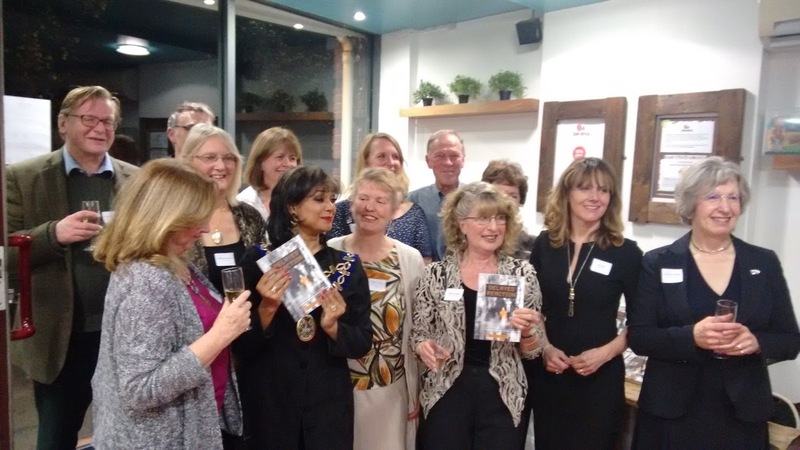 Read my review of Spilling the Beans on Book Muse UK. 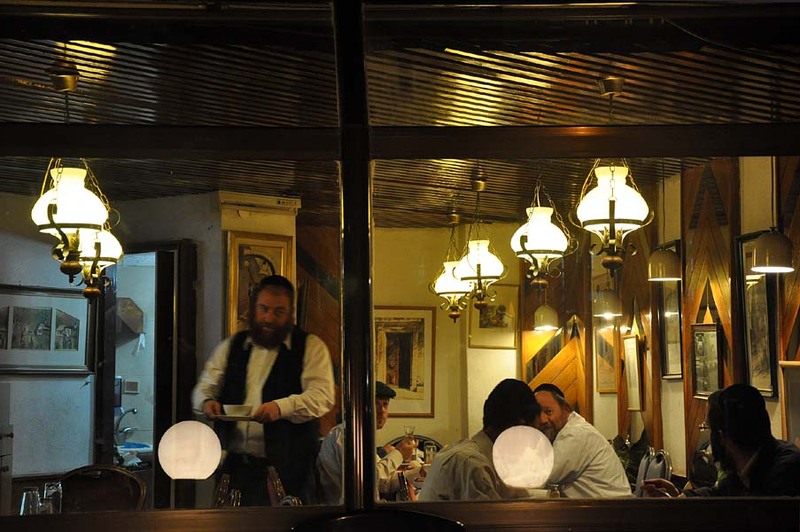 In our regular series, international writers share some snapshots from their part of the world. This issue, Gali-Dana Singer shows us around Jerusalem. All images courtesy of Gali-Dana Singer. 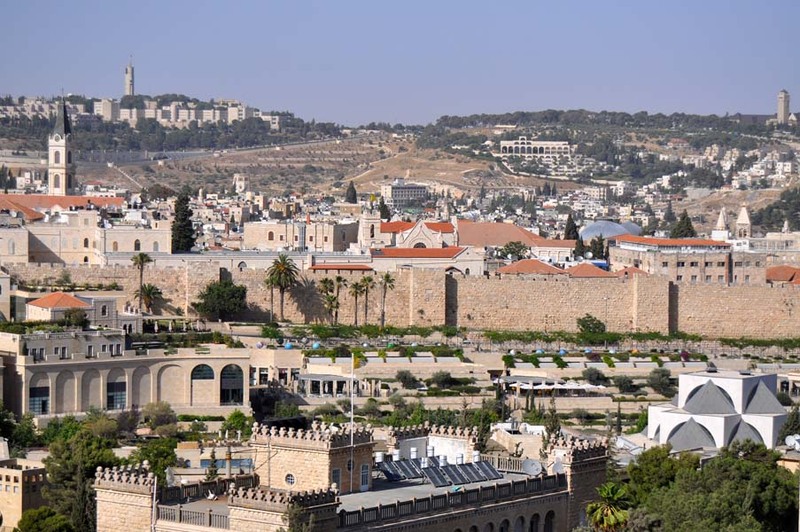 What’s so great about Jerusalem? That’s a difficult question. The answer seems so obvious and yet it is not the right answer, or, let us say, for the very reason of its obviousness it’s not the right one. And yet everyone living here is obliged to answer this question time after time. Perhaps, that’s what is so great about Jerusalem. It’s forever residing in an eternal state of self-doubt that’s not exactly bliss, yet all the more is a thing of existential value. Although I can’t prove it, I believe it utterly that all the city dwellers and even all the city guests have a complete picture in their heads of a ‘proper’ Jerusalem, ‘true’ Jerusalem, even ‘real’ Jerusalem that is constantly shattered by Jerusalem herself (cities are feminine in Hebrew and as it so perfectly suits the city of Jerusalem, I would like to keep the gender intact in English also), and all the city’s horses (we have quite a few here, and not only police) and all the city’s men can’t put these lovely images together again. Strangely enough, no city dweller and no city guest can wholeheartedly put these broken images to rest, they are nursing them as tenderly as the greatest of their grievances, they are prepared to guard them with their lives and keep them in mind always, once and again trying to prove one shred or other comparing it with what their senses can sense and their memories remember. And yes, we are all unproportionally attached to the tangible city of our sensations and to the intangible city of our recollections. 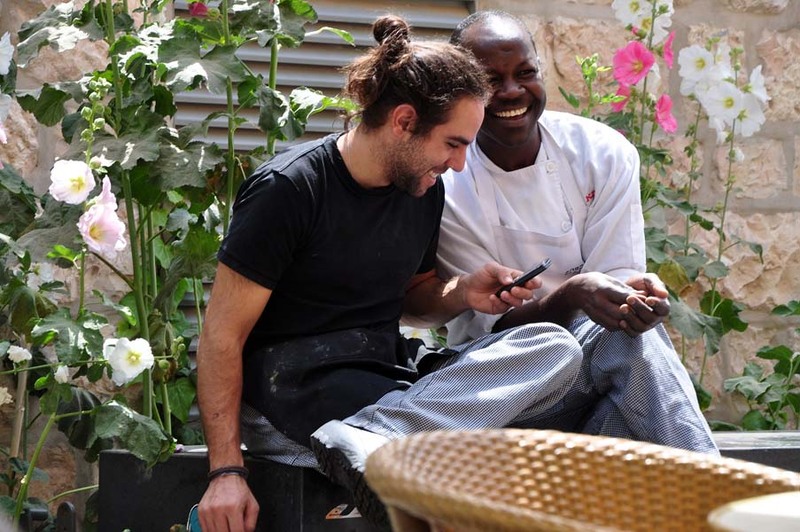 Everybody can tell you where to find the best of everything, the nicest cafes, the quietest bookshops, the most original taxi drivers and the most friendly souk sellers. The funniest thing is that it is already here, not in imagination. Everybody who lived long enough myself included can tell you stories about Jerusalem ten or twenty or hundred years ago, Jerusalem’s tradesmen and craftsmen, tastes and smells, riches and rich, homes and homeless. 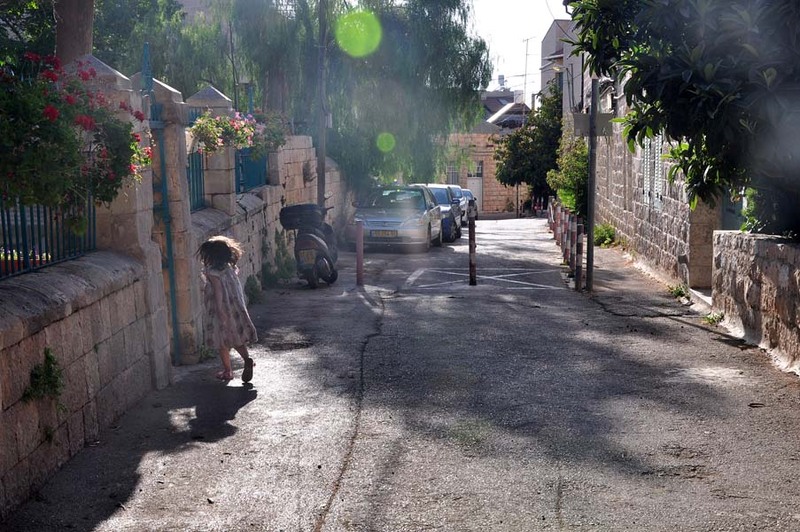 Everybody or everybody whom I know is complaining about the changes Jerusalem goes through and for a good reason. Once I became too depressed by the ruination of the so called New Jerusalem, the part of the city built in the second half of the nineteenth century, where I live together with an artist and writer Nekoda Singer and our two dogs Deca and Basho; so we decided (Deca and Basho were not involved in this decision) to send a questionnaire to different people from all over the world who have some connection to our city asking them what they feel about this ‘new destruction of Jerusalem’ and then published their answers in our bi-lingual Russian and Hebrew e-zine. Contrary to my expectations, we got less elegiac responses and more stoic ones. One of the apparent things that I overlooked before and got straight thanks to this questionnaire was the sad fact that this process is going everywhere. Nevertheless, when all is said and done, Jerusalemites tend to think that Jerusalem is somewhat special and in my heart of hearts where I store the shreds of my ‘true’ Jerusalem I cherish the slightly grotesque picture where all those responsible in their future reincarnations will faithfully rebuilt with their own bare hands and according to the old plans and photos the buildings and streets they annihilated. 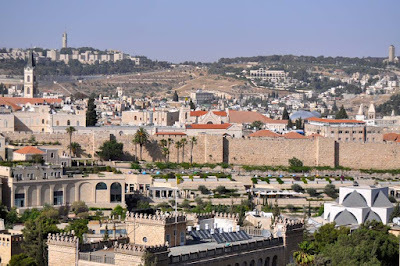 In spite of this spiteful vision of mine, I must tell that there is a strange harmony between these two cities that we can continue to name traditionally the earthly Jerusalem and the heavenly Jerusalem, even if the heavenly one is crushed to pieces. 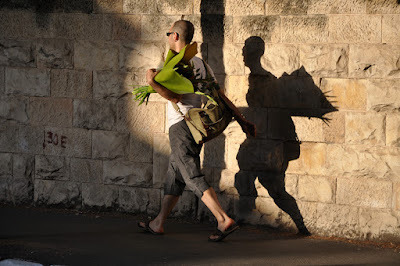 “There is nothing so whole as a broken heart...” told Rabbi Menachem Mendel of Kotzk and I choose to hope that it is also true for broken cities and dreams. It’s many-layered. Of course, like everywhere else in the big cities there are many different festivals, art festivals, writers' festivals, music and theater festivals and we have our Light Festival, the novelty that became very popular over the world in the last decade. 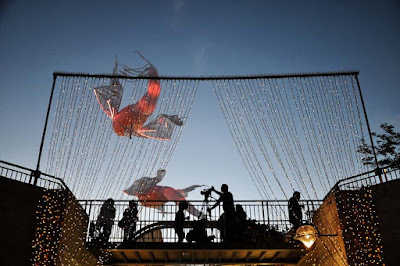 On a smaller scale and I would say on a deeper one there are poetry and prose readings in little bookshops, cafes and galleries, home concerts, street performances, intimate gatherings when people meet each other to talk about Greek poetry or I Ch’ing or some other equally exciting stuff . I have an on-going photo-series that is called ‘People of the Book(let)’, it includes hundreds of images of readers in parks, cafes, at bus stops and on the go. Sometimes I use zoom to find the titles of the books they are reading, so I’m well prepared to give you the list. You can find anything from Maimonides to The Master and Margarita’ by Bulgakov, from fathers of Church to ‘Jonathan Strange and Mr Norrell’ by Susan Clark, from ‘Romeo and Juliet’ to ‘A Tale of Love and Darkness’ by Amos Oz, from ‘Pamela’ by Samuel Richardson to ‘Dancing arabs’ by Sayed Kashua, and so on. You can also be sure to meet many prayer books and Talmud volumes even on the streets. I have another series ‘Books found and lost’ that shows which books people don’t read anymore and throw away. But luckily, there is nearly always somebody willing to give them a good home. 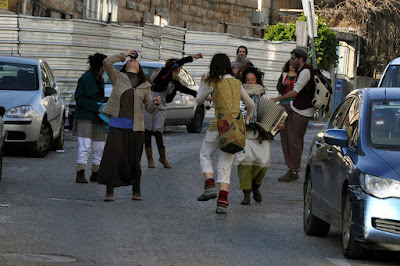 Can you recommend any books/poems set in Jerusalem? My favourite ones are ‘Summer in the Street of the Prophets’ by David Shachar and other novels from his eight-novel sequence ‘The Palace of Shattered Vessels’, ‘The Name’ by Michal Govrin, short prose by Else Lasker-Schuler, Dennis Silk and Gabriel Levin, ‘The Drafts of Jerusalem’ by Nekoda Singer, poems by Dan Pagis, Harold Schimmel, Israel Eliraz. Shall I say King David? or his son Solomon? or the prophets? It’s hard to decide. Both. It’s just my life. Just now I’m more translating than writing. I’m working on two poetry books to be published soon in Russia, one by Yona Wallach and the other one by Hezi Leskli. And moving in the different direction i.e. translating from Russian into Hebrew I’m working also on two different projects, but as they are at earlier stages of preparation I don’t want to mention the names yet. Sum up life in Jerusalem in three words. Everything. Nothing. Anything. In that order. This has annoyed me for months. When I share a blog post on Facebook the images within the post usually appear as a thumbnail beside the link. As of a few months ago I would share a post from my blog and get a random image from the site instead - sometimes the site logo, sometimes a social media icon that appears somewhere on the blog. And the description underneath the blog post title would be a random piece of info from the site such as the privacy statement. I found several posts on the internet. This is the code which worked for me and I'll provide some step by step instructions below. Copy and paste the code above into Notepad and replace http://www.yourdefaultimage.jpg with a URL to an image that you would be happy displaying next to your blog link on Facebook if you HAVEN'T included any images in your post. For example, it might be your company logo, or a generic image. If you have your logo on your website simply right click and copy the image address, and paste it into the code above. Next you need to add the code to your template. NOTE, always back up your blog template before making any changes, just in case anything goes wrong. Go to your Blogger blog>Template>Edit HTML. Hit Command>F and search for /head. This will work for all future posts. You can force old posts to work by using Facebook Debugger https://developers.facebook.com/tools/debug/og/object/ but I've found this to be temperamental and doesn't always work for old posts. And it can take a little bit of time for the changes to filter through. Note that images within a blog post generally need to be over 200 pixels in size to be picked up by Facebook. Now onto the problem of random descriptions appearing underneath your Facebook blog post links. Go to Settings > Search preferences > Description. Select 'Yes' and then enter a default description you would be happy to have under your posts. This description will appear under all posts where you don't follow the next step. If you want a specific description, go to your individual blog post and click Search Description. This is a really Google friendly place to enter a description packed with keywords. This description, if completed, will appear as the description under your posts on Facebook. Last month, I attended a performance of an extraordinary one-man play by the young actor and playwright Ery Nzaramba. Split/Mixed is a coming-of-age tale – except that the coming-of-age happens in the middle of the Rwandan genocide, precipitated by the shooting down in 1994 of a plane carrying airplane carrying Rwandan president Juvénal Habyarimana and Burundian president Cyprien Ntaryamira. Like Nzaramba himself, Edy, the central character in the play was born in Belgium and returned to Rwanda with his family as a young child. He has a normal, middle class childhood, attending a good school, listening to music, playing football – until his family is ripped apart, along with the country, and he, his parents and siblings have to flee for their lives. The play revolves around the answer to the question – innocently asked one night in a club – “where are you from?” Should he answer, “Rwanda,” knowing that will lead to a whole string of more difficult questions? (“Where you there when...?” “Which ‘side’ did you belong to?” and, always hanging over every conversation, “Are you a victim or a killer?”) Or should he dodge the issue by answering “Belgium” and thus deny his past? Working on a completely bare stage, Nzaramba brings to life all the different members of his family, his friends at school, and the people he encounters on his flight from the country, even the girl he falls in love with. Working with director Jude Christian, he found body language and turns of phrase to encapsulate each one. And somehow the magic works, even when he is holding conversations with himself. Asked about his writing process after the performance of Split/Mixed at the May Fair theatre, Nzaramba explained that he originally wrote perhaps five times what we now see. Split/Mixed is deeply moving, even harrowing at times. But it is also extremely funny. It has been produced in conjunction with Tamasha Theatre, who are now trying to raise the money to take the play to the Edinburgh Fringe. There is a Crowdfunder appeal running until 12th April, and I urge you to support it if you can. This play deserves as wide an audience as possible! 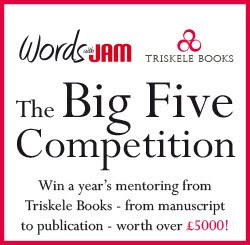 All New WWJ and The Big Five Competition! We’ve had a revamp and we think you’ll like it. 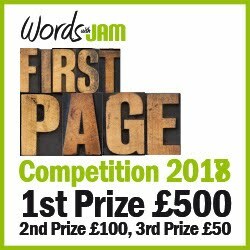 Rather than a big bunch of articles all in one go, we’re going to post all our regular literary content for writers – interviews, tips, reviews, snapshots, competitions, new fiction, industry expertise and some sly satire – once a week. And offer you a monthly round-up in case there’s something you missed. 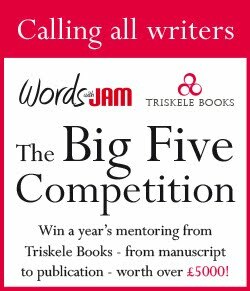 What’s more, we’ll be hosting a range of new guest contributors, more tips on writing and self-publishing, how-to and lots of other delicious goodies. Readers, we've tidied up the living-room and cordially invite you over to Triskele Books for bookclub, author features, guest bloggers, the house special and wine. Triskele Books is FIVE years old! Amongst many exciting new ventures this year, we’re offering you the chance to win this extraordinary prize. Triskele is based on a commitment to great writing, professional presentation and a strong sense of place. As well as ethical operation and support for other writers.